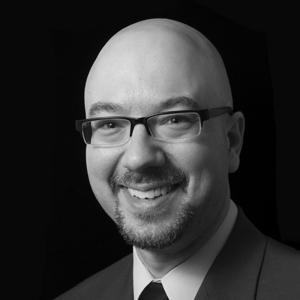 A National Board Certified Educator, Michael Mascari has served as the Director of Orchestras at the prestigious Whitney M. Young Magnet High School in the City of Chicago since 2006. During his tenure the orchestral program has grown considerably in both size and quality, and is now widely acknowledged as one of the largest and finest high school orchestra programs in the Chicagoland area. This year, the Whitney Young Chamber Orchestra has earned the distinction of being the first orchestra from Chicago Public Schools to be invited to perform at the prestigious Midwest Clinic. In 2016, the ensemble earned top honors for their debut festival performance at Carnegie Hall, New York, and the ensemble was selected in 2012 to perform at the Illinois Music Education Association All-State Conference. Prior to his appointment at Whitney Young, Mascari was the Director of Orchestras at Batavia High School in the western suburbs. As a conductor, Mascari’s innovative repertoire selection, interpretation of the musical score, and energetic rehearsal style have caught the attention of the education community, leading to a 2007 invitation to direct the ILMEA District V Senior Orchestra in Bloomington, IL and numerous engagements as guest conductor/clinician for Chicagoland K-12 and High School festivals. Within Chicago Public Schools, Mascari is recognized by the Arts Education community as a leader in the development of innovative use of assessment to measure student growth and teacher effectiveness, and he has served on the CPS Office of Arts Education Assessment Advisory Panel since 2013. In 2016, Mascari’s commitment to effective integration of technology in instruction and assessment led to an opportunity to pilot and provide critical feedback for the new IHSA online adjudication system, which ultimately earned him an appointment to the Illinois High School Association’s Music Contest Advisory Board. Mascari earned a Master of Arts in Music Education from Eastern Illinois University in 2018, and his Bachelor’s degree from the University of Illinois at Urbana-Champaign in 2000. His teachers and mentors include Louis Bergonzi, Frank Lestina, Deborah Confredo, Jack Ranney, Kathleen Horvath, Fred Stolzfus, John Heath, Bill Jastrow and Michael Rogers. On a Sunday morning, Mascari can be found at Church of Our Saviour in Lincoln Park where he serves, along with his wife, Cate, as the music minister for the church’s contemporary service. He is the proud father of two young musicians, Ariana and Leith, both of whom also participate in the CYSO ensembles.